Before returning to school at age forty-two to earn both a bachelor of arts and a master of arts degree in history, Eddy W. Davison worked as a karate instructor, detention officer, and crisis interventionist with juvenile offenders. From 1985 to 1991 he was a senior officer specialist with the Federal Bureau of Prisons, Department of Justice, where he worked with high security witnesses in the Federal Witness Protection Program. A rappelling accident in 1987 forced Davison to retire from hazardous duty with the highly trained prison S.W.A.T. team, referred to as the Special Operations and Response Team (S.O.R.T.). After two years of convalescence, Davison was hired as an instructor in the criminal justice program at the International Institute of the Americas in Phoenix. In 1997, he received his undergraduate degree from Ottawa University in Phoenix, where he studied history with Daniel Foxx. In 1999, Davison and Foxx published an article in The Confederate Veteran entitled “In Search of Forrest at Shiloh.” In 2001, they published “A Journey to the Most Controversial Battlefield in America,” an article about Fort Pillow. For the next several years Davison and Foxx traveled to Tennessee and Georgia, interviewing historians and writers such as Shelby Foote and Lawrence Wells and visiting notable Forrest landmarks like Chickamauga National Battlefield and Fort Pillow. 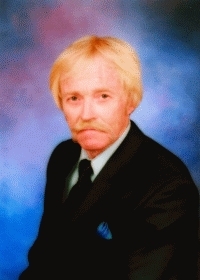 During the writing of Nathan Bedford Forrest: In Search of the Enigma, Mr. Davison joined the Arizona Division of the Sons of Confederate Veterans and the Scottsdale Civil War Roundtable. At the roundtable, he developed a relationship with chief historian of the National Park Service, Edwin C. Bearss, who reviewed the manuscript and later offered to write the foreword. The father of two daughters, Mr. Davison lives in Phoenix, Arizona, where he is an adjunct professor of history at Ottawa University. This is his first book. Nathan Bedford Forrest’s astounding military abilities, passionate temperament, and tactical ingenuity on the battlefield have earned the respect of Civil War scholars and military leaders alike. He was a man who stirred the most extreme emotions among his followers and his enemies, and his name continues to inspire controversy.